Now that the summer season is here, temperatures are rising outside and in our homes. While opening up the windows and keeping the air circulating can sometimes keep us comfortable inside, when the mercury really spikes, we need other options. The Environmental Protection Agency (EPA) reports that the typical U.S. household spends almost 20 percent of its utility bills on cooling, but fathers can significantly lower that amount by doing a few things, according to USA Today. 1. Install a programmable thermostat. EnergyStar.gov reports that families could save about $180 every year in energy costs by installing one. 2. Clean or replace air conditioning unit filters every three months. A clean air filter will improve efficiency and save you money. 3. Keep blinds and curtains closed during the day to keep sun and heat out.4. Keep equipment properly maintained. Hiring a contractor to service your air conditioning unit each year will help ensure peak performance. 5. 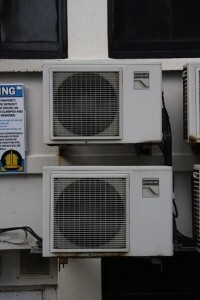 Choose an Energy Star-rated air conditioner. Depending on where you live, replacing your old equipment with Energy Star-qualified equipment can cut your annual energy bill by nearly $200. Keeping cool and comfortable in your home this season doesn’t have to cost a lot of money. Remember, when all else fails, hit a local pool with your children or cool off with an icy treat together!